UPDATE: Feverish World is no longer accepting proposals. Please send all TextWorks proposals to FEVERISH WORLD at ecoculture@uvm.edu. Please indicate “FeverishWorld TextWorks” in the Subject line. Proposal submitters will be notified of the selection committee's decision within two weeks of submission. 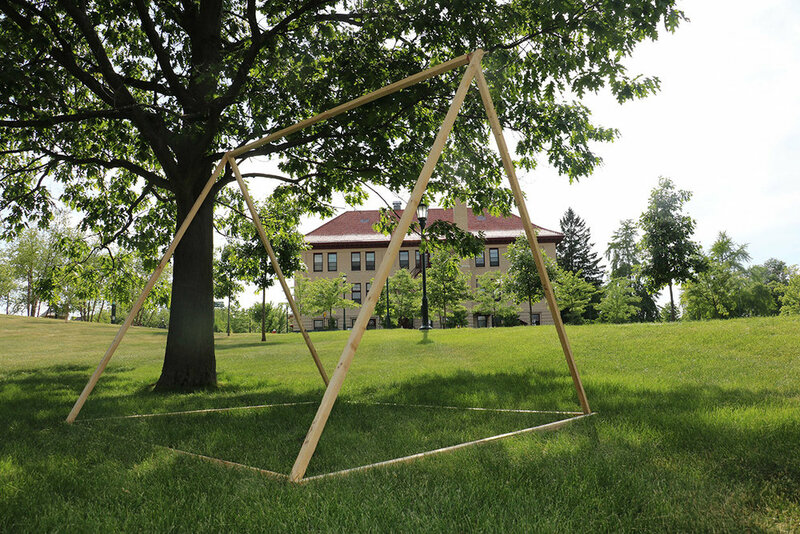 We seek creative proposals for conceptual, textu(r)al, expressive, and/or experiential works to be housed with/in one (or more) of the roughly 8’x8’x8’ triangular tents making up the symposium’s “Tent CityCommons” (see images below). Tents may be indoor or outdoor, and will be located at the University of Vermont campus and in key locations in and around Burlington. Proposed works could be of any format provided that they work in concert with the TentWorks spaces, are technically feasible (with limited logistical support), and either remain in place for much or all of the Symposium (Saturday through Monday) or be performed during that time period; and that they somehow respond -- whether directly, laterally, diffusely, or circuitously -- to the general themes of the symposium. Please send all TentWorks proposals to FEVERISH WORLD at ecoculture@uvm.edu. Please indicate “FeverishWorld TentWorks” in the Subject line. Proposal submitters will be notified of the selection committee's decision within two weeks of submission. Accepted contributors will be asked to confer with the Feverish World Art and Public Space Committee on details of set-up and take-down. Please note that the Symposium does not have funding for materials or transportation costs.